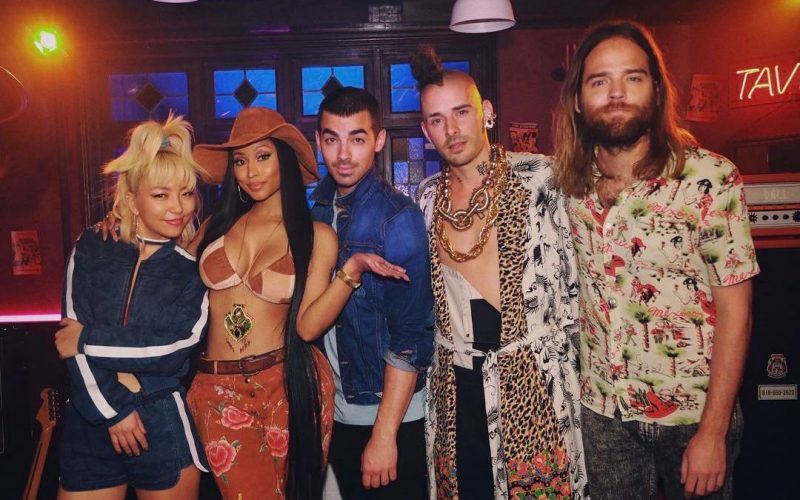 Nicki Minaj is dropping a new song with DNCE on Friday and fans are already excited about the collaboration. The Young Money rapper is full on back on the music scene with a handful of features and a couple solo tracks of her own as she gets ready to deliver her fifth album. There is still no official date for her new album, but we know its coming sometime this year. So while we wait, Nicki Minaj is keeping our ear happy with a steady stream of new music, so we know the project can’t be too far away with this amount of new joints on the airwaves. Nicki Minaj revealed on Instagram on Monday that she has something coming with Nick Jones band DNCE called “Kissing Strangers.” She even shared a few images of herself and Jonas. The band also shared some clips of themselves hanging with the head barbie. You can listen to a teaser of the single “Kissing Strangers” below. 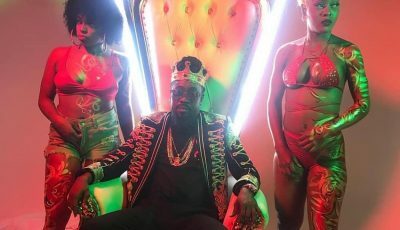 The full single will arrive on Friday, April 14th, the same day that Kendrick Lamar is expected to release his new album. “Roughed him up a lil bit on the set of the video. He’ll live Joe Jonas #KissingStrangers,” Nicki Minaj wrote on Instagram. She is also getting ready to premiere the music video for her Remy Ma diss track “No Frauds” featuring Lil Wayne and Drake.